Valdimar Óskarsson is the CEO of Syndis. He holds an M.Sc. in Information Technology/Security and has extensive experience in the field of security and information security management. Another native Icelander, Valdimar has been living abroad since 2002, spending a decade in Denmark where he worked for Betware (now Novomatic) as an operational manager, Sensa as a consultant, and nSense as a PCI Qualified Security Assessor (QSA). Valdimar was appointed as CSO of the Betsson Group in Malta in 2012. In 2015, he became CISO at Transfast, which is a US based money transfer company with offices across the globe. Theódór has decades of experience of working professionally in the space of offensive information security with his interests focusing on penetration testing, exploit development, offensive tooling and vulnerability research. Theódór has performed security assessments, penetration testing, incident response, and security consulting for many of large global organizations, including financial, government, and other technology oriented companies. Theódór currently leads the operations team at Syndis and is helping to drive the Syndis vision forward. He is a popular instructor and speaker in Iceland, having for instance taught university-level technical computer security courses at both the University of Iceland and Reykjavik University between 2012-2015. Theódór has also presented at various conferences on state-of-the-art topics relating to information security. Prior to co-founding Syndis, Theódór worked for Capacent, TERIS, and KPMG, where he performed technical offensive security consulting and assessments. Information security professional with focus on development, coding genius. Charlie has spent his last few years doing application security in the gaming industry, and spent countless hours doing security research against both open and closed source applications. He has worked with major vendors on vulnerabilities he has discovered during his research. He has already presented at multiple conferences, including Nordic Security Conference. He has also done work on anomaly detection in video games and related systems, which he has presented about. He has also done work on incident response situations relating to malware attacks, system breaches, and denial of service attacks for various organizations. Professor in residence, security educator and system builder. Ýmir is Assistant Professor of Mathematics and Computer Science at Emory University and Assistant Professor of Computer Science at Reykjavik University. He leads the research strategy of Syndis. Ýmir obtained a PhD in Computer Science from Cornell University in 2009, where his dissertation was nominated for the ACM Doctoral Dissertation award, and worked as a research scientist at IBM Research on innovations in distributed systems. With more than 16 years of experience in computer security, Ýmir is a pioneer in offensive exploitation of computer software. He invented various techniques to leverage security vulnerabilities in software, and wrote many of the first "Format string" and "Heap overflow" exploits. His TEDx talk on why he teaches people how to hack went viral in 2014. Ýmir has published over 30 academic articles, holds 4 patents and loves cats. His professional web site is ymsir.com. Information security expert, leader in offensive research. Rich has worked professionally in the space of offensive security for over 10 years where his research has been focused on the areas offensive tooling and framework design, post-exploitation strategies along with continual vulnerability research and exploit development. In addition to his research, Rich performs consulting and attack services across a range of verticals including National Security, Financial, Technology, and the Entertainment industry. Prior to co-founding Syndis, Rich led the Attack Technology Division at Kyrus Tech (DC), held a Vice President role at Morgan Stanley (NY) as the lead cyber-threat specialist, was a senior researcher at Immunity Inc (FL) and led the Research In Offensive Technologies and Threats group at Hewlett-Packard's European Labs (UK). He is currently the Director of Security at DUO security Inc.
Bergsteinn has worked in law enforcement for the past decade both as a patrol officer and as a detective. His experience ranges from local to internationally cooperative cases in fields such as narcotics, cyber and organized crime. He has in recent times been more involved cybercrime investigations. His work for the police has given him a valuable insight into the workings of the legal administration and judicial system in addition to a comprehensive understanding of criminal mentality. As a first responder he learned to deal with critical situations and work under pressure whilst having to keep his composure. Bergsteinn has a B.Sc. in Computer Science from Reykjavik University where he was first introduced to Syndis through their security course TOOR. Heiðar has completed his B.Sc. degree in Computer Science at Reykjavik University. He is a part of the Adversary team that is developing an educational platform for training developers to adopt a richer security mindset while designing systems and writing code. Heiðar has been heavily involved in offensive information security community over the past few years. His focus is on the offensive side of security, ranging from penetration testing to code reviews to participating, playing and organizing security competitions, including IceCTF. Bjarki has a strong technical background in computer science, having started at an early age developing websites. He holds an M.Sc. in Computer Science and a B.Sc. in Discrete Mathematics, with a short academic career resulting in several peer-reviewed publications and talks on international conferences, both in the field of Computer Science and Mathematics. One of Bjarki's main hobbies for the past close to a decade has been Competitive Programming, where he has taken part in international training camps and competitions, ranking top-150 out of 60.000 participants in competitions such as Google Code Jam. At Syndis, Bjarki applies his technical skills and problem-solving abilities to perform penetration testing, application assessment, code review and security analysis. 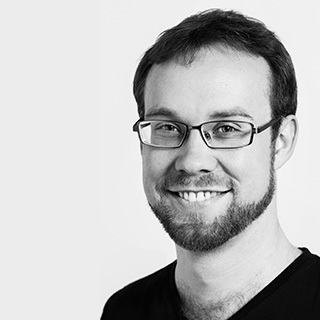 Hjalti's background is both in academia and software development. After completing his B.Sc. degree in Mathematics and M.Sc. degree in Computer Science from Reykjavík University, he went on to become adjunct lecturer at the university. As an educator his focus was mainly on improving students' problem solving skills by developing automated grading and feedback systems. Prior to joining Syndis, Hjalti worked as a developer for two software companies.